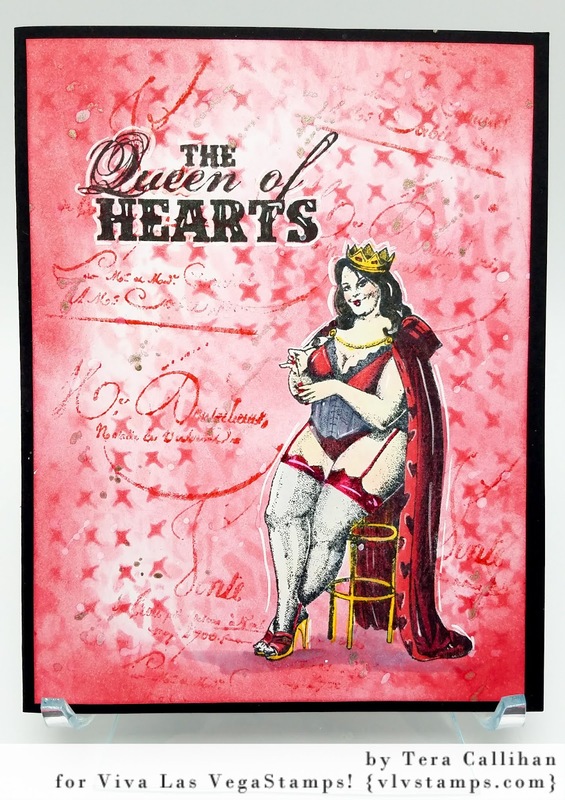 * The Crafty Sugar Addict *: Queen of Hearts Mail Art Monday! 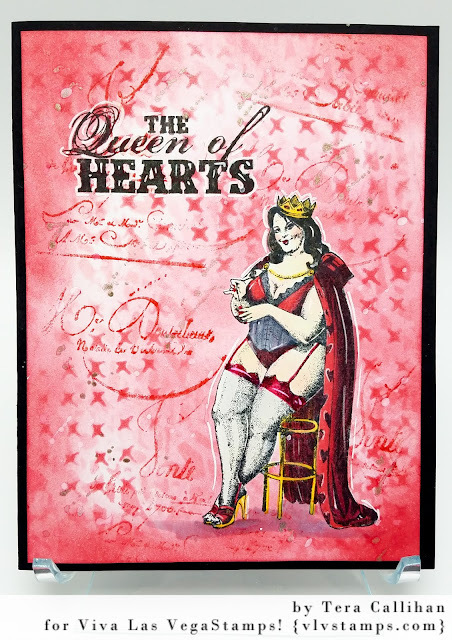 Queen of Hearts Mail Art Monday! Today I want to share a little Valentines themed happy mail using Viva Las VegaStamps! I just love this sassy queen! I started by stamping my beautiful queen and quote in memento ink on my A2 card base and envelope. I used blick alcohol inks to color my queen. I masked off the queen then used Distress inks in Picked raspberry, worn lipstick, and festive berries. 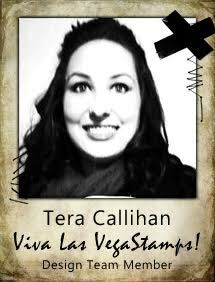 I used Tim Holtz layering stencils to add extra details in the background. On the envelope I stamped my hearts in distress ink, festive berries. Using the same color, I stamped the french writing on the card background. To finish everything off, I flicked some perfect pearls mist in heirloom gold. It isn’t clear to me what she is doing, but what comes to mind is she’s mixing up a concoction for some poor-unsuspecting-soon-to-be-valentine. LOL. Love all the sassy reds and pinks. Suits her and her mood perfectly.